This month we’re yarnin’ with our new board member, Desmond Tayley, who was appointed a Director of ICAN in December. You may already know Desmond from his deadly Facebook page, “Talking Country with Desmond Tayley” – if you haven’t checked it out already, make sure you do! Can you tell us a bit about your country and professional background? I’m from Wujal-Wujal, Lower Eastern Cape York, Far North Queensland. My clan group is the Eastern Kuku Yalanji, Kuku Nyungkul and Magarr-Magarr Warra Clans. 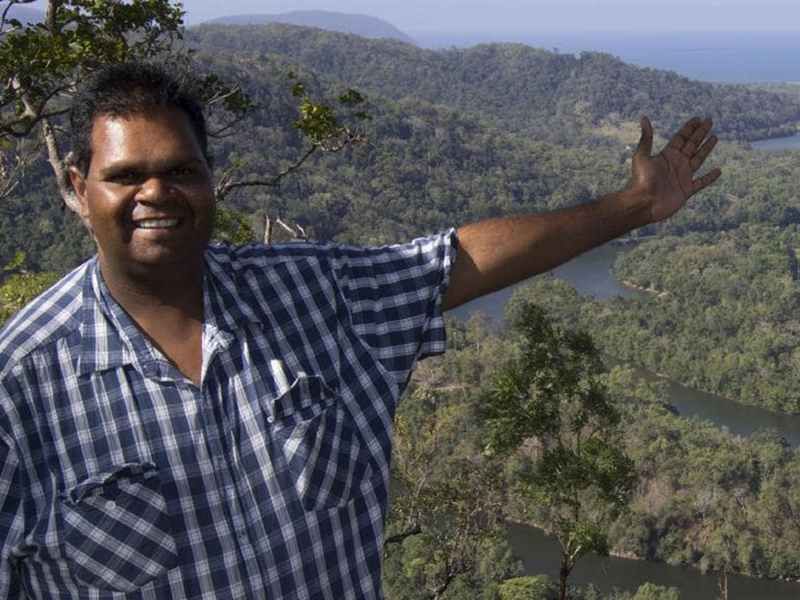 I born in Cairns but lived most of my life in Wujal-Wujal. 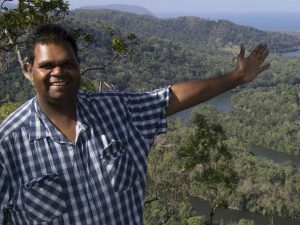 I am the current Mayor of Wujal-Wujal Aboriginal Shire Council, and I also sit on numerous company boards including Bana Mindilji Aboriginal Corporation, Cape York Natural Resource Management, Jabalbina Yalanji Aboriginal Corporation, and Qld Gov Business Innovation Reference Group. I am also a member of Microsoft Australia’s Reconciliation Action Plan (RAP) Advisory Group. I enjoy having a busy working life wearing many different hats. You’re a man of many talents, what attracted you to joining ICAN’s board? I was impressed by the calibre of the board and the dedication of the staff, in delivering quality service to both clients and the organisation as a whole. I wanted to become a board member because I know the company and have seen firsthand the great things that ICAN has achieved for our people since its establishment. What motivates you an ICAN board member? I have been fortunate to work with three of the current directors on several community initiatives over time, such as the “Do Not Knock” campaign in Wujal Wujal. I am excited to be part of a team that delivers these great initiatives to vulnerable people across the regions of Cairns, Townsville, Cape York and the Torres Strait. The potential to expand the business into other regions is another opportunity I look forward to being part of. What skills do you look forward to bringing to ICAN? I bring a wealth of knowledge and experience in terms of governance to the table. As a team player, I look forward to working with both the directors and staff to achieve the best possible outcomes for our clients, wherever they’re based. In closing, I want to thank my ICAN colleagues for showing confidence in my ability to join this dynamic board.